Six years ago today, the world changed and not many people knew it. 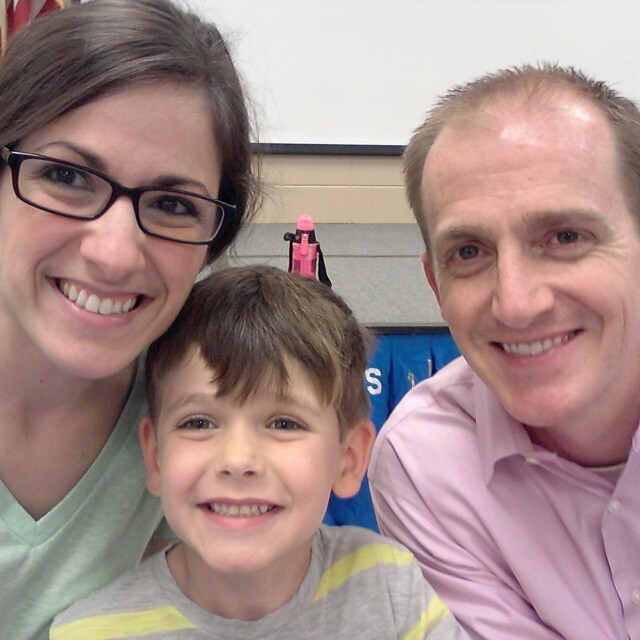 Six years ago, Brayden Thomas entered the world, and our lives changed (for the better), forever. 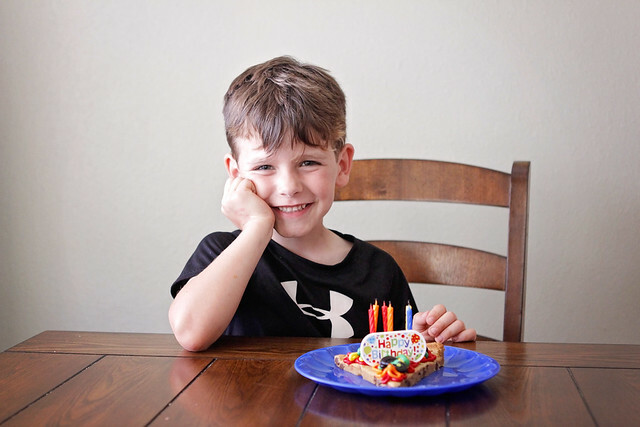 As a rule of thumb at our house, birthdays are the third most important day of the year in ones life (only behind Christmas and Easter), so today was a pretty big deal. because Brayden has caught on to our rule of thumb ;) The opinions were very particular about what he wanted for today (You get to pick out all of your meals, and what you do for the day) Brayden chose "adult" donuts (apple fritters), a double cheeseburger happy meal with Sprite and monster cookie (from our local bakery) and corndogs and tater tots for dinner. I asked him why he chose those things and he said "because I really like those guys!" So, we went with clean eating, Brayden style. 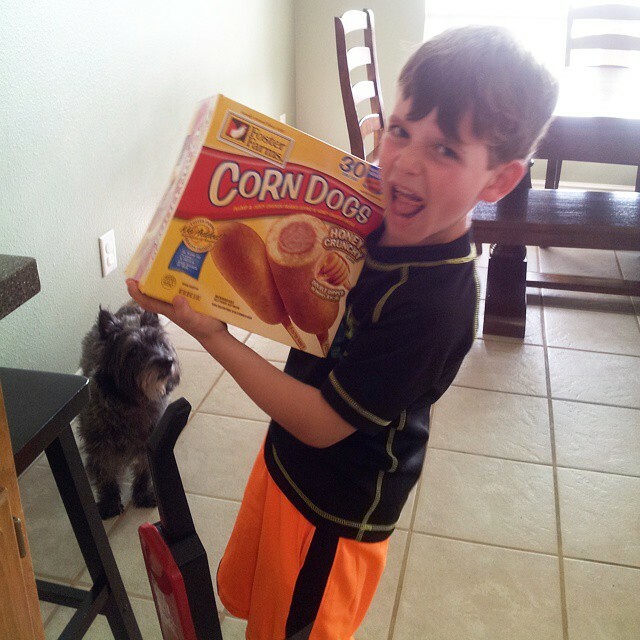 He was pretty stoked about it (and I am thankful his teacher didn't kill us with all of that sugar intake during school hours!). 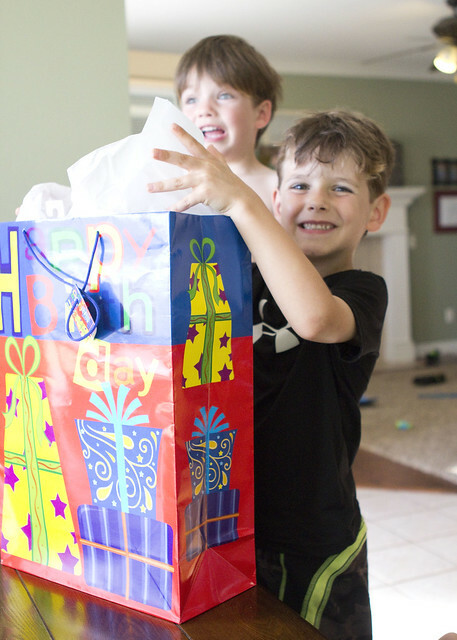 We already gave Brayden his big gift (a mountain bike), but wanted to give him something on his actual birthday too. 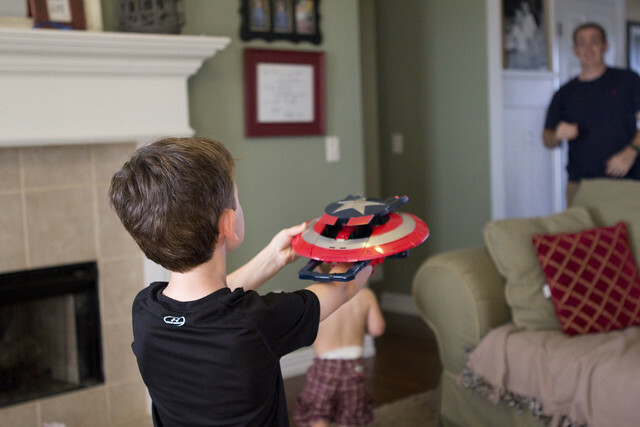 I found this Captain America Nerf shield and knew he'd love it. Can never go wrong with Nerf for a school aged boy. 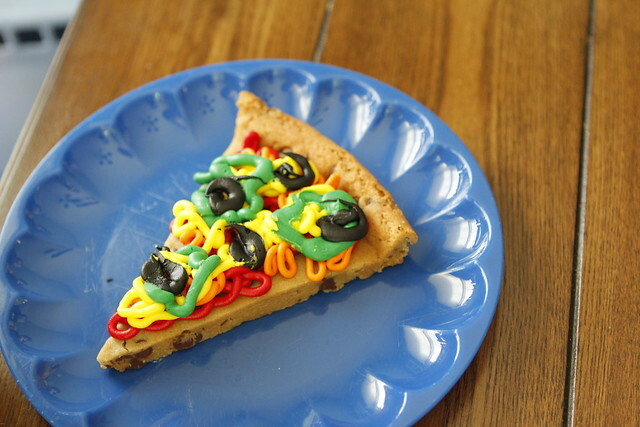 I usually stick with Walmart or Sams for the boys cakes and cupcakes, but went to a local bakery here in town instead today and was blown away by this cookie pizza cake. Looks like I have a second option for cakes now. I know I say it often, but I can never say it enough, the world became a better place when you were born. You are the answer to so many prayers, and I am so proud watching you grow into such an awesome young man. You are tenacious, loving, empathetic to others needs, have a willingness and insatiable desire to seek truth and your desire to learn more about Jesus is the best of all of your traits. I'm so glad that God made you and that He placed you in our family. We think you're pretty awesome. Happy Birthday, big guy! Good Weather and Birthday Shenanigans.